Wasabi Apartment – get the flavours of the city! Wasabi apartment is a perfect core point to explore the city from! 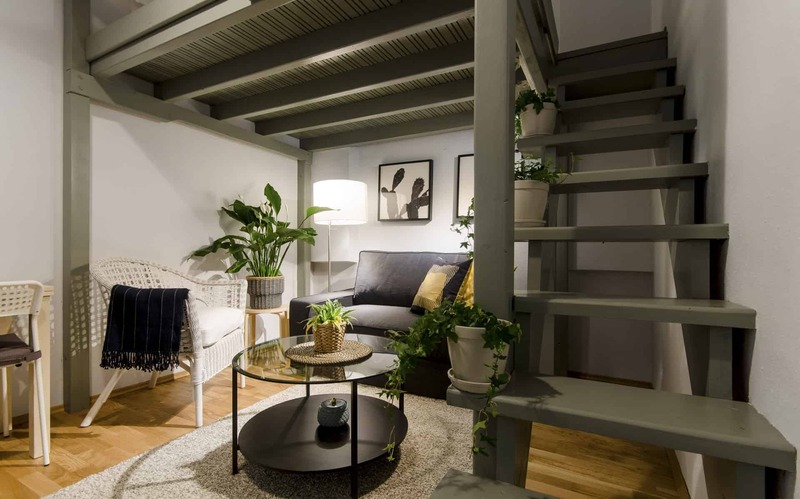 Couples, friends and even smaller families can relax comfortably in this silent flat with mezzanine level. This apartment is a lovely home in a quiet house in the very center of Budapest’s liveliest district. It is conveniently located if you would like to get around town on foot or by public transport or bicycles. The apartment is well equipped for you to have a comfortable stay. Washing machine, flat screen TV, WiFi… are ready for your service. This neighbourhood has a very special vibe because of its history, central position and cultural life. Since the turn of the millennium, this part of the city became the epicenter of the blooming ruin-pub culture, the best and most famous ruin bars are within 5 minutes of walking. The quarter in which these unique bars give the mood of the evening, also has a strong heritage: during WWII, this area was the ghetto. These days the neighbourhood is full of restaurants, clubs, shops and small designer boutiques. The recently renovated Klauzál Market Hall, which occasionally holds antique or second hand markets, is just a stone’s throw away too.